A recently had the opportunity to check out LoHi eatery Bremen’s Wine & Tap, sampling dishes from a revamped menu under new executive chef, Isabel Ranney. 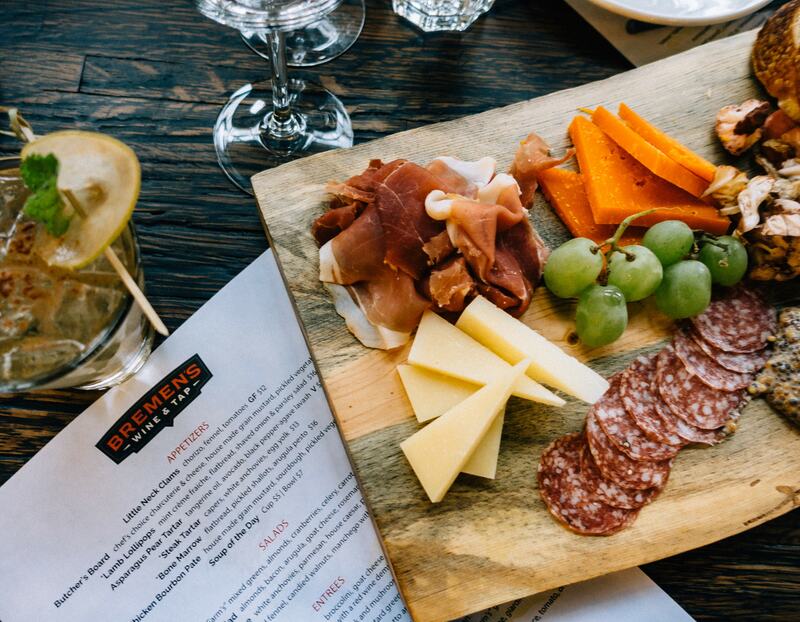 Bremen’s, a relatively new entry into the Denver dining scene, opened its doors earlier this year in June. The chance to rework the menu came when Ranney was promoted from sous chef to EC after the departure of opening chef Matt Selby in August. Ranney, a Denver native who has been in the food industry for over a decade, described her own food philosophy and cooking technique as being heavily informed not by formal culinary training, but by what she has learned while watching other chefs in kitchens she’s worked in. A student of herbalism, Ranney aims to leverage her knowledge of the medicinal and dietary benefits of herbs to sneak some well-being into her refinement of classic fall-weather meals, turning them into dishes “that people crave.” Ranney also is a strong supporter of going local, selecting Colorado purveyors like nearby Rebel Farm, a non-GMO grower utilizing hydroponic technology, to supply a large part of the greens that appear on her menu. Please note: Financial compensation was not received for this post. I was invited by the PR firm working with Bremen’s for a preview tasting of the menu on the house. Opinions expressed here are my own. Bremen’s goes for the upmarket bistro vibe with a floor full of Marais-inspired French cafe chairs as seating for the rustic wood-topped bar, high tops, and tables lit by Edison bulb light fixtures. With a full wall of windows, the space is pleasingly light and airy and the vibe comfortably casual. While I tried a variety of large and small dishes over course of our dinner, I was surprised to find that my favorite dishes were full-on meat bonanzas. Although I usually don’t go for lamb, the Lamb Lollipops is an excellent example of a dish that could make a flexitarian swing meat-positive for a meal. 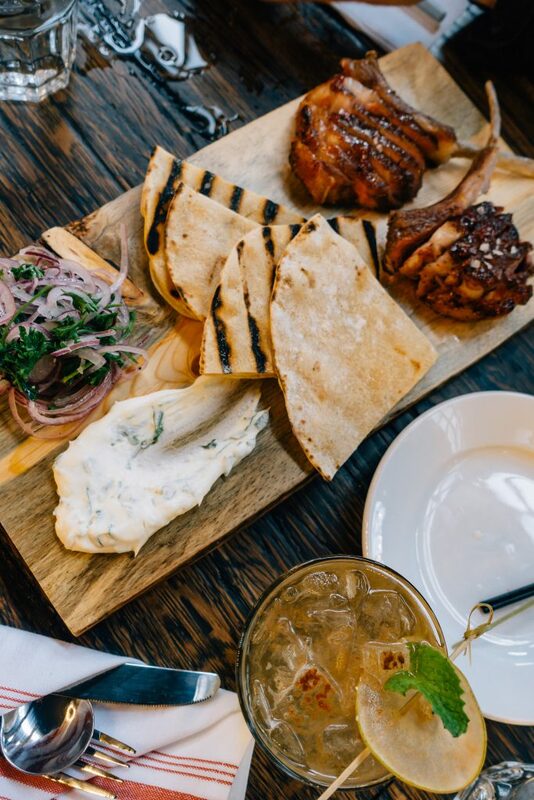 These two perfectly cooked chops are cut into slices and served on a board with grilled flatbread, mint crème fraiche, and a shaved onion and parsley salad ($16). 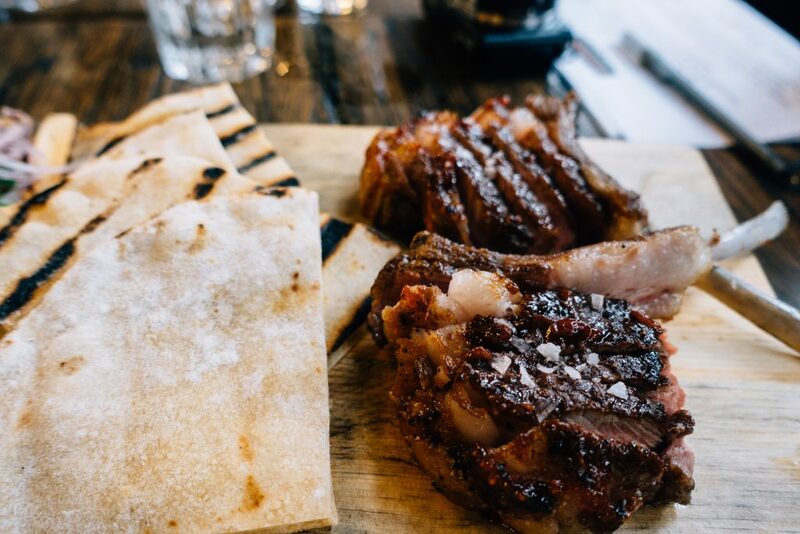 The meat is succulent and flavorful (and not at all gamey, which for some reason is how I always equate lamb tasting) and is likely to win you over. The other standout is the Duck Breast ($23). Served over gnocchi drizzled with a leek and mushroom ragout, I can see this dish sparking some frantic delivery orders (the restaurant does Grubhub) on a cold autumn evening when you just want to eat something warm, comforting, and utterly delicious. 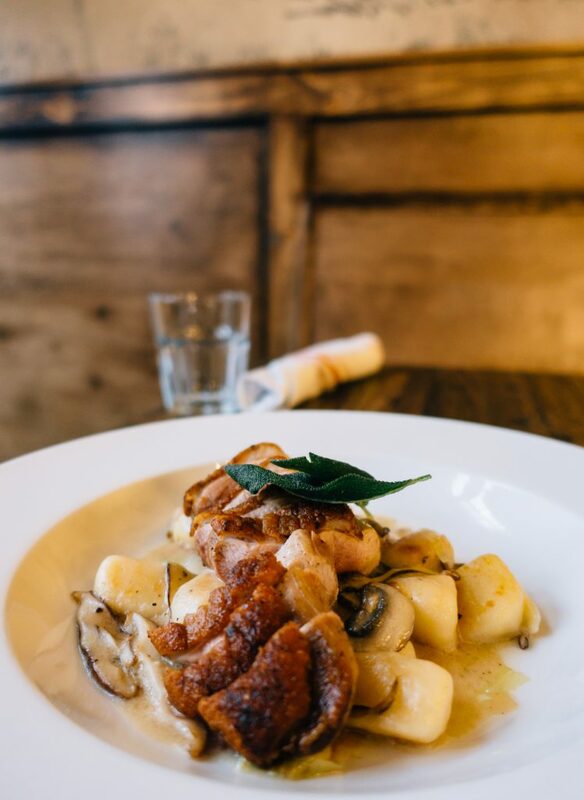 The duck is cooked with that ideal combo of a crispy skin outside, tender meat inside, and the ragout is steeped in that magical earthy flavor that mushrooms provide. For those who are looking for something less meat-intensive, I recommend the Seared Sea Scallops ($28). It comes with three jumbo-sized scallops (again, perfectly cooked) on a spread of bacon (I said it was less meat-intensive, not meat free!) and charred onion risotto with a red wine vinegar reduction. Fair warning – this dish is a lot of food, so you’ll probably find yourself requesting a box at the end of your meal and eating some yummy next-day leftovers. 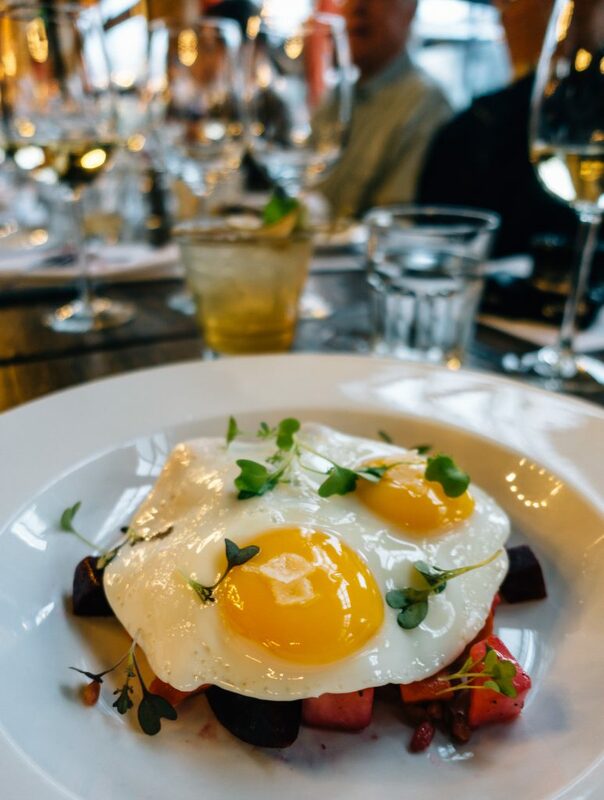 Or you could also try the Farro Bowl, which is served with roasted root vegetables, Rebel Farm’s greens and sunny side eggs on top for $16. Bremen’s is a great restaurant for grabbing some drinks (wines and beers galore!) at the bar with friends and then staying for a nice leisurely meal. 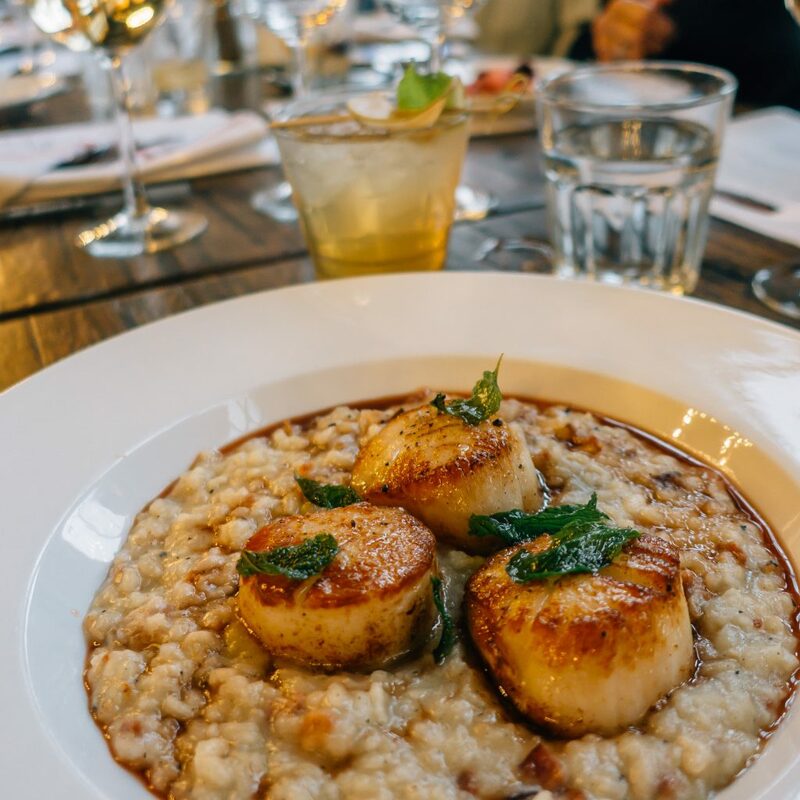 The pleasing mix and array of sophisticated bistro classics makes this place you could easily make a reliable weekday dinner spot to put into your rotation. Although the prices mean that a dinner for two is likely to run you in the $70-80 range (one appetizer, two entrees), the generous portions and high quality of ingredients mean you’ll at least feel like you money was spent.